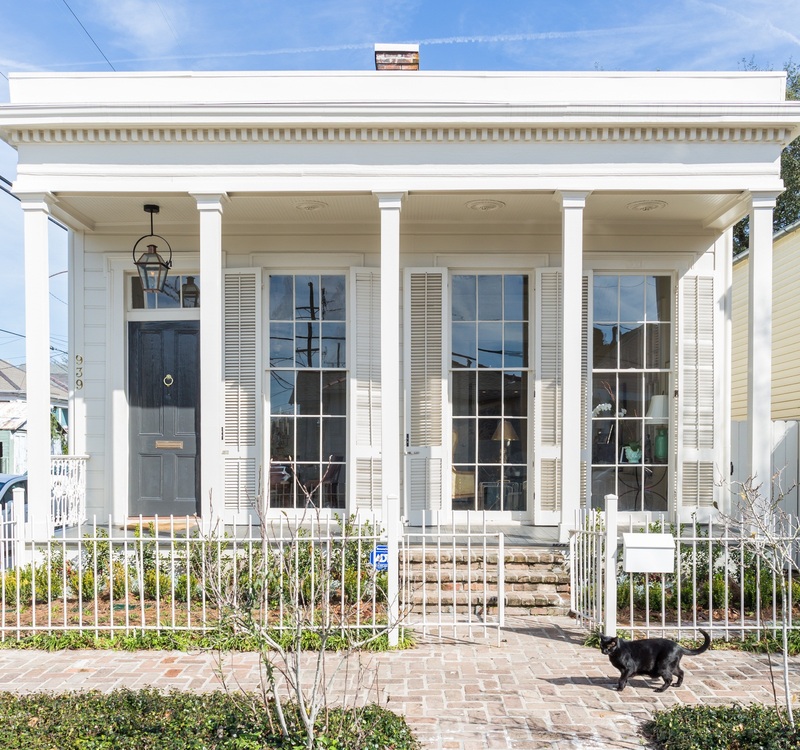 You can't even talk about New Orleans architecture without including the iconic shotgun! There are plenty of myths, legends and folklore surrounding them. My favorite it the old idea that you could shoot a gun through the front door and the bullet would go all the way through the back without hitting a single thing on the way! You have singles, doubles, camelbacks and side halls. The only real requirement is that the roofline is perpendicular to the street. Every year, the Preservation Resource Center allows people inside a handful of these homes to show how they can be updated for modern living. If you'd like to check them out for yourself, tickets are still available! They're $20 for members and $25 for non-members and available on the Preservation Resource Center website. 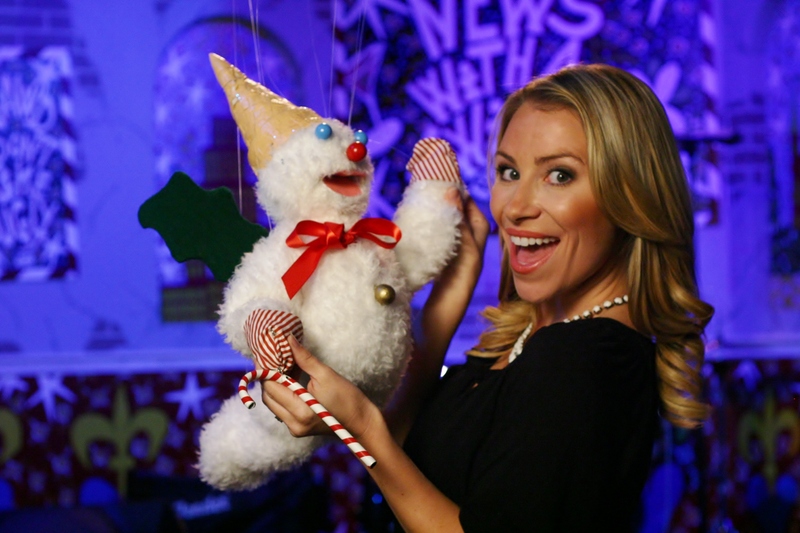 View my WGNO interview about the home tour here. New Orleans lost a real gem today. 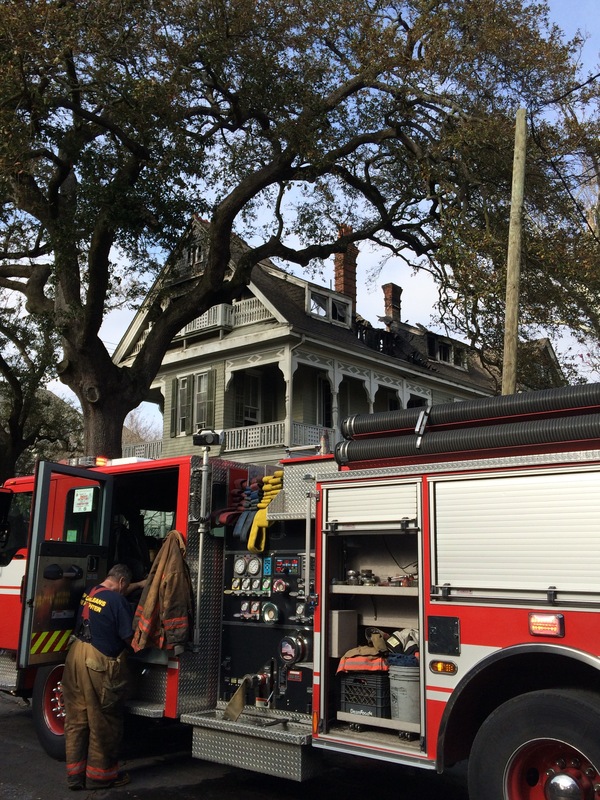 A fire, which started in the attic, tore through the stunning green and white Garden District mansion that graces the corner of Chestnut and Philip. WGNO reporter Deepak Saini, who was on scene, told me 5 generations of the same family have lived in that very home! Thankfully, a neighbor ran inside to save some paintings, photos and other prized possessions. But that's probably about all that's left. Between the fire, smoke and water damage, the mansion will likely have to be gutted. I can only hope the owners can preserve some of the historic touches and that beautiful facade. I'm saying a prayer for their family tonight! There's never a shortage of fun things to do in New Orleans... even in the height of our hot and humid summer! 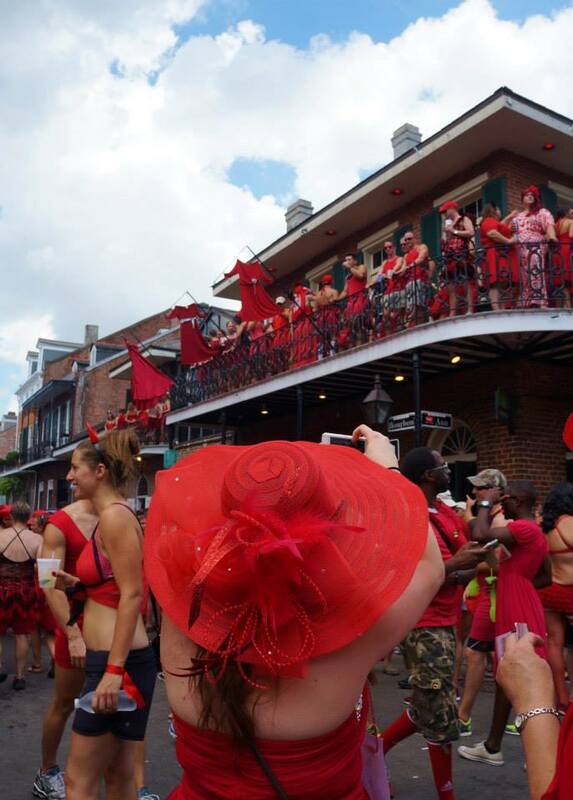 This weekend, the French Quarter played host to an annual event called the Red Dress Run. Man, woman and child all donned their fanciest red frocks to run for charity. Inevitably, the revelry spills onto the streets (and into the bars). Organizers expected 15,000 people at this year's event (although most of those folks are just watching, not running) and I heard rumors that as many as 25,000 took part! 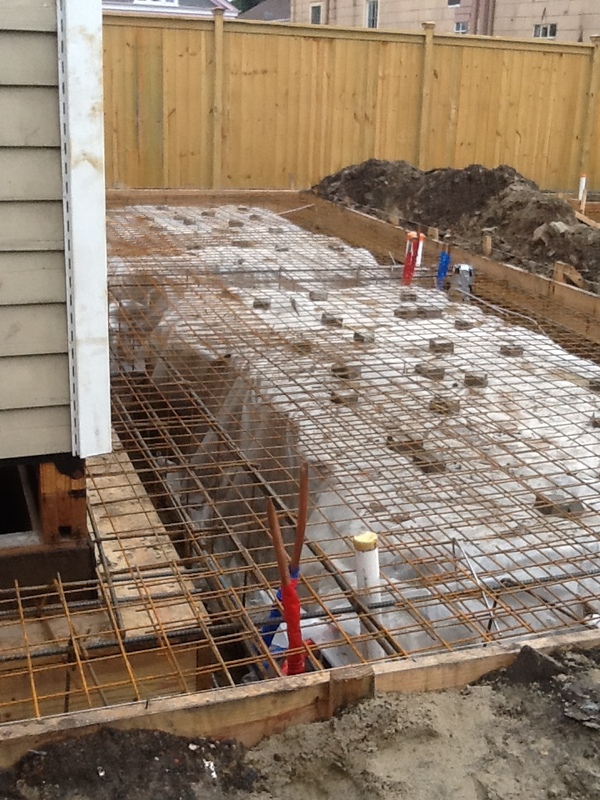 Here are a few pictures and videos for your enjoyment. They're sure to give you a whole new perspective on the Chris De Burgh classic, "Lady in Red!" Okay, so it doesn't exactly FEEL like winter in New Orleans. I mean, 70 degree weather doesn't muster up memories of sipping hot cocoa by the fire. But take a quick look at the beautiful decorations around town and you'll see the holiday season has indeed begun! Our city's ever-enterprising marketing gurus have tapped into New Orleans' wintery charm with all sorts of events and attractions. At the top of everyone's list is Celebration in the Oaks. 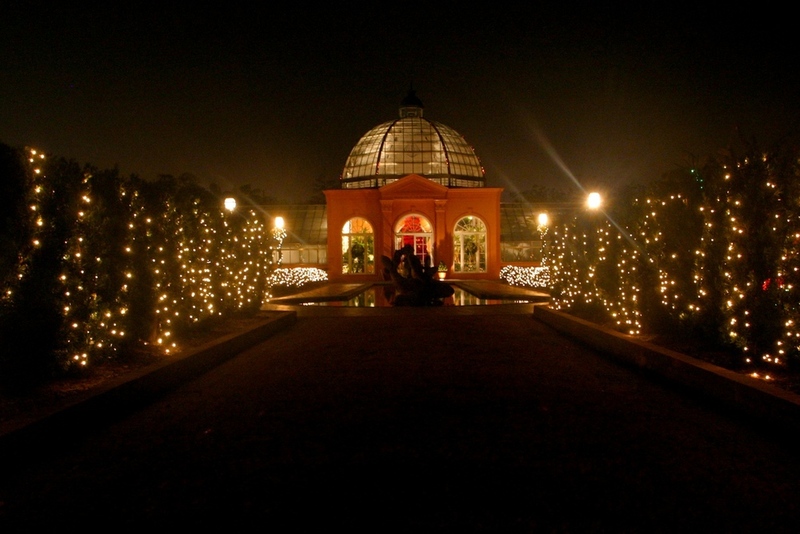 City Park transforms into a stunning holiday exhibition- one of the best in the country. 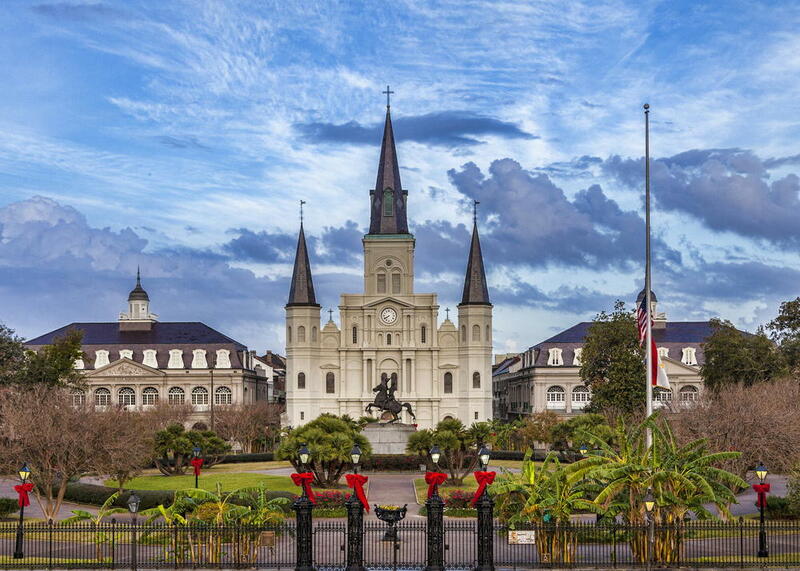 If you're in the French Quarter, don't miss the lights adorning Jackson Square and take in a FREE concert at the Saint Louis Cathedral! Meanwhile, Canal Street and it's charming red street cars are aglow with decorations, as are local hotels, including my personal favorite: The Roosevelt. Walk through glimmering arches and grab a hot cocktail from the world-renowned Sazerac bar. It's downright magical. Not to be left out, the amazing folks at the Preservation Resource Center are hosting their annual holiday home tour. Prepare to ogle some of the most stunning historic homes you've ever seen. Oh yeah... and they're gussied up with some pretty fine decorations, too. But that's besides the point. If you want kitchen renovation ideas, do NOT miss the tour! 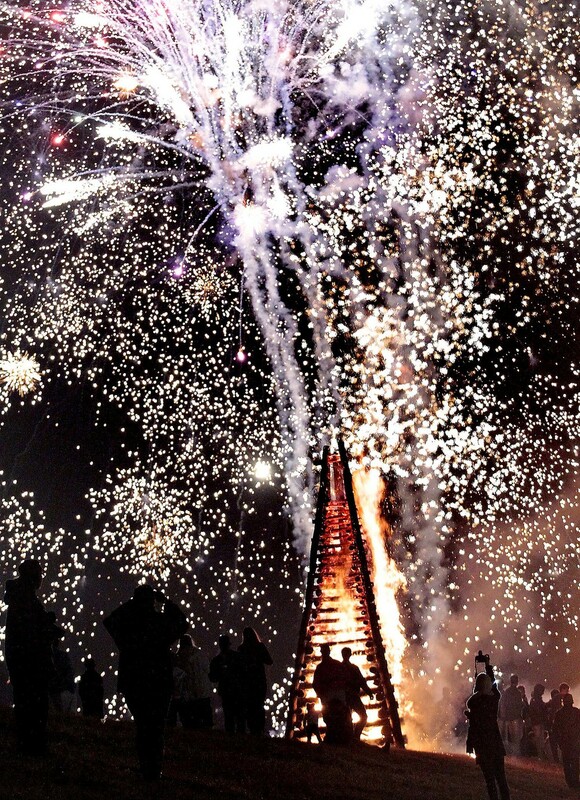 If you're willing to venture outside the city, the bonfires just might change your life. My family and I were lucky enough to partake during our first Christmas down South. We drove to Lutcher with canteens of coffee, hot cocoa, Bailey's and peppermint Kahlua. "Uncle Larry" invited us to his block party, where they welcomed us with open arms and 3 pots of gumbo. We strolled along the levee, marveling at hundreds of bonfires in all shapes and sizes, lighting the way for Papa Noel. It doesn't include snow-capped mountains, but a Louisiana Christmas is one you will never forget. Louisiana has coined the phrase "Hollywood South" to describe our ever-expanding film and television industry. It couldn't be a more accurate description. Our humid city is swarming with celebrities like Angelina Jolie and Brad Pitt, looking to catch a break from the hustle and bustle of Hollywood proper and enjoy the eccentric, Southern charm New Orleans has to offer. Sandra Bullock, John Goodman and Jennifer Coolidge all live within blocks of us, not in private, gated communities, but in the heart of the city's historic Garden District. Not surprisingly, film crews and movie trucks are a fact of life in the Crescent City. However, we've never seen them quite so close to home as we did a few weekends ago! Just doors from our modest fixer-upper is the not so modest Buckner Mansion. 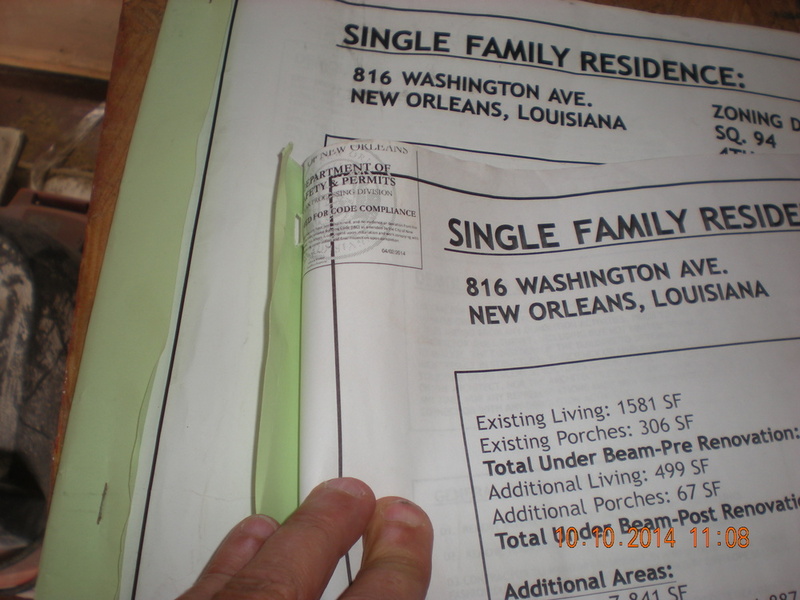 Google tells me the white antebellum home is the largest of its kind in the Garden District. We drool a little bit every time we walk or drive by and apparently, the folks from FX had the same reaction. Over the course of 2 days, the network filmed a series of promos there for season 3 of its hit show, American Horror Story. We watched prop masters walk by with horned headpieces, Jessica Lange be whisked away by her driver and dozens of witches (dressed to the nines, I might add) lining up outside, hanging from cranes and altogether up to no good! "American Horror Story: Coven" features a clash between Salem witches and voodoo practitioners. It's already garnered gobs of hype online. 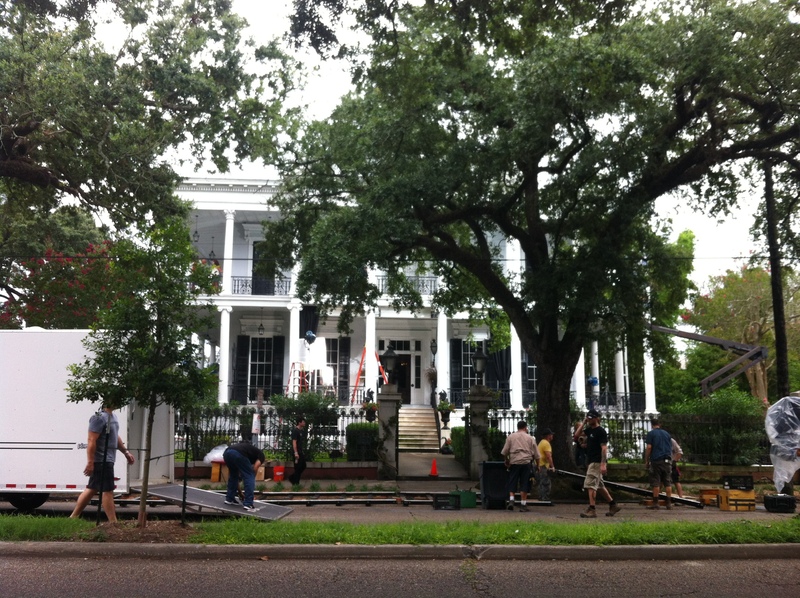 Perhaps the most exciting part, however, is that the season is not just filmed in New Orleans, but actually set here. It'll feature the beautiful architecture and haunted history that make our city such a unique place to call home. If the teasers are any indication of what's to come, when I'm not ogling the amazing architecture... I may also be letting out a few screams! Promo #2 is equally terrifying!